HMRC’s digital transformation will be affecting businesses from April 2019 - so how can you respond? From April 2019, as part of the government's Digital Transformation agenda, UK businesses that are VAT registered and above the threshold will be required to keep their records digitally, and submit VAT returns to HMRC using Making Tax Digital compatible software. 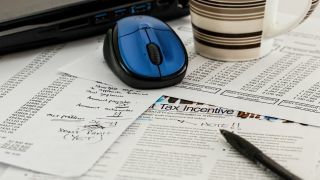 Making Tax Digital for VAT signals the end of paper-based accounting for many accounting firms and small businesses across Britain. It’s going to create one of the world’s most digitally advanced tax administrations - improving efficiency and ease of compliance. This is a huge step towards a digital Britain. With any transformation of this scale, it brings with it its own set of uncertainty and upheaval for businesses. There has been the view that MTD for VAT is an unnecessary change and one that will add to the stress of tax-returns for businesses, rather than appease it. But, this type of digital transformation isn’t just about compliance. It’s part of a much bigger picture, in which we live in a world where all elements of our finances are fully digitised. Cheryl Price, director of CH Accountancy & Bookkeeping Ltd, who has been getting her clients ready for MTD for VAT reflected on the impact it’s going to have: “It can only be positive that businesses are able to get a better handle of their finances”. MTD for VAT is going to add huge value to accountants and businesses across the UK. It’s a massive opportunity to increase efficiency, standardise processes, reduce errors and enable more proactive tracking. By submitting tax digitally via cloud accounting technology, businesses will gain real visibility and control over their data and become more integrated with the industries in which they work. 1. Cloud technology is moving from a nice-to-have to a must-have: We know that small businesses who use cloud technology are less likely to fail after the first five years than those who don’t. According to our Make or Break report, 88 per cent of Xero customers are still operating after five years in the UK, compared to an industry average of 41 per cent. The benefits of cloud technology are being recognised by more businesses and accountants. And with HMRC spearheading this transformation, we’ll see an ever greater number of businesses moving to the cloud, so they too can benefit from access to real-time data, increased efficiency and better cash flow management. 2. A paperless system means fewer costly mistakes: A tiny mistake in a financial ledger made at the beginning of the year can grow into a serious discrepancy over time that may not noticed until it is time to file a return. This can be costly for both HMRC and the business itself, through lost revenue or fines incurred. Through digital tax returns, errors will be rectified faster and tax payments will become more accurate. 3. Making Tax Digital for VAT is the gateway to smarter technology adoption: Making Tax Digital will ultimately drive widespread adoption of digital technology, bringing new capabilities such as artificial intelligence and automation into the hands of many. This means that they can spend less time on the books, freeing them up to focus on running their business. HMRC’s transformation from paper to digital is an enormous feat, modernising a legacy system that has operated for decades. Once fully operational, Making Tax Digital for VAT will become the stepping stone for smarter technology to integrate in the future. Xero is included on HMRC’s list of software suppliers supporting Making Tax Digital for VAT, following successful VAT returns using the beta version of Xero’s Making Tax Digital functionality. Visit Xero’s Making Tax Digital Hub for more advice and useful information on tax digitalisation. Damon Anderson, director of partner and product at Xero UK.